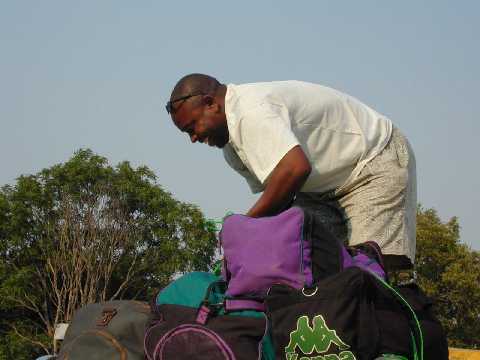 Our resourceful driver Winston secures the gear for the long drive back. 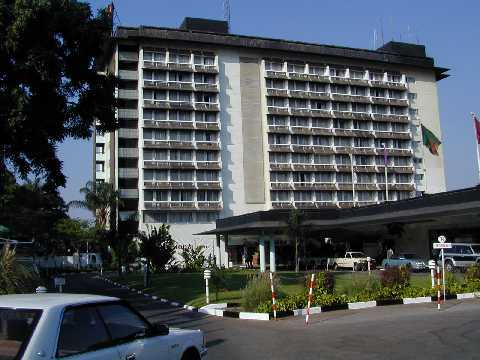 The Taj Pamodzi Hotel, Lusaka. Swimming pool, movie stars. Our home now for the duration.